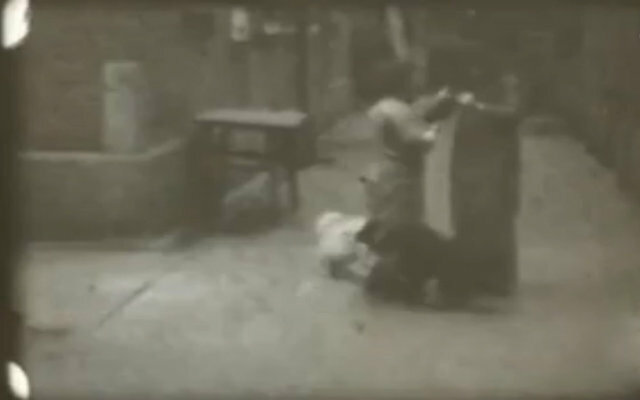 Last week, the Shanghai Audiovisual Archive released the first known amateur film of daily life in Shanghai Shikumen in the 1930s. Only three minutes in length, the footage was obtained from a private collector and is currently being fully repaired to its former glory. 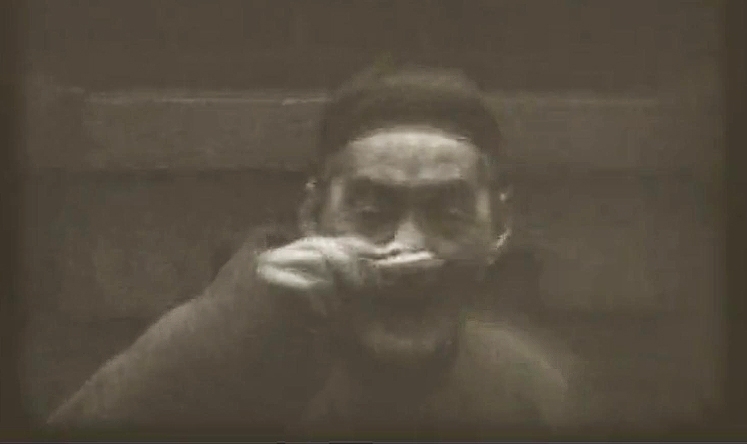 The archive started a social media campaign on Sunday on the city’s Sina Weibo account, releasing a short part of the video in the hopes of finding someone who could identify the area or the people in it, albeit 80 years later. It shows “capitalists, fooling around” in March 1936, according to a label on its containing box. Two young women are seen playing with a dog as a cook walks past holding a wok. A grinning elderly man is seen taking out his dentures, saluting the unknown cameraman. The archive started collecting video material in 2011. This film highlights the lack of Chinese documentation and archiving practice…their holes in history and understanding, which China is now investing a great deal of time and money on to find, develop and preserve. It applies greatly to contemporary Chinese art too. The stills below do not do the film justice so you must watch it here (although the soundtrack is somewhat questionable…not sure of it’s relevance).